Social Security disability can be a monsoon. Rod endeavors to help his clients weather the storm. 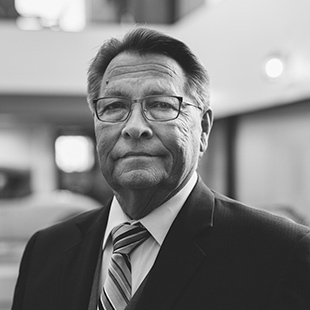 After his father was injured at a construction site, Rod realized firsthand how critical workers’ compensation is to those who need assistance. Rod has experience in worker’s compensation, long-term disability and Social Security disability litigation. He earned his Juris Doctorate from Whittier College and has undergraduate degrees in quantitative systems and business management from Arizona State University. As an active member of the Optimist Club of Phoenix for nearly four decades, Rod is committed to helping young people in the community. He is also a member of the National Organization of Social Security Claimants' Representatives and Advocates for the Disabled. Alongside community service, Rod enjoys golfing and spending time with his wife, four children and family pets.